An official opening ceremony and dinner were held on Wednesday evening to celebrate the relocation of UC Music and Classics to the Chemistry building at the Arts Centre. 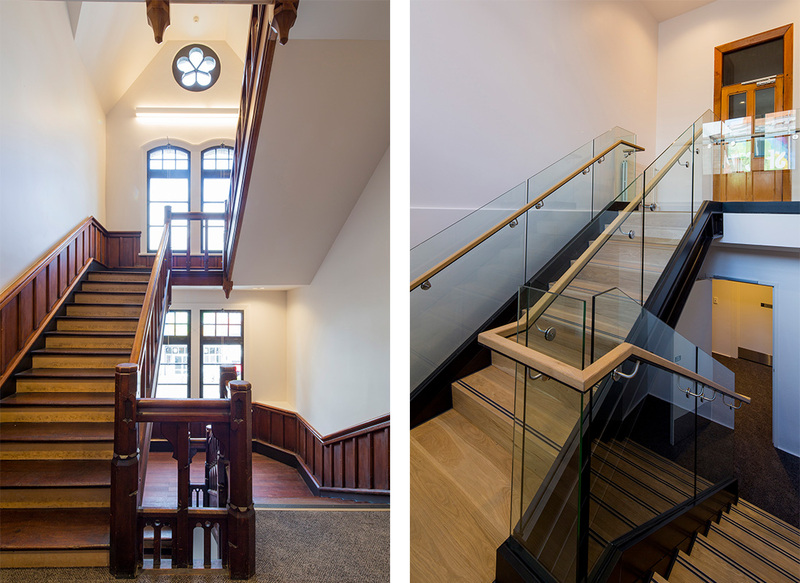 The 1910 building has been fully restored and the fit-out custom-designed for Music and Classics students. It includes a new exhibition space, the Teece Museum of Classicial Antiquities, named in recognition of UC alumnus Professor David Teece and his wife Leigh Teece who generously contributed to the restoration of the building. UC’s treasured James Logie Memorial Collection is now on permanent public display in the museum. Hon Christopher Finlayson, who is well known for his support of the arts, was at the ceremony to declare the new home of UC Music and Classics officially open. During the celebration dinner Christchurch Mayor, Hon Lianne Dalziel spoke about the significance of UC bringing the Logie Collection and music performances to central Christchurch for everyone to enjoy. The public can now easily access and view the Logie Collection – one of the most significant collections of Greek, Roman, Egyptian and Near Eastern artefacts in the Southern Hemisphere. Prof Teece and Mrs Teece, who are based in the United States, also made the trip to New Zealand to join the celebration and officially open the Teece Museum of Classical Antiquities. In an interview with One News before the official opening, Leigh Teece spoke about the importance of the arts. “Art feeds the imagination, it engages critical thinking, it fuels creative problem solving, all of which are essential to the development of innovation skills,” Mrs Teece said. View the full news item. We Could Be Heroes: The gods and heroes of the ancient Greeks and Romans opens to the public on Saturday at 11 am, and will run until 29 October 2017. Wednesdays through to Sundays, 11am – 3pm. 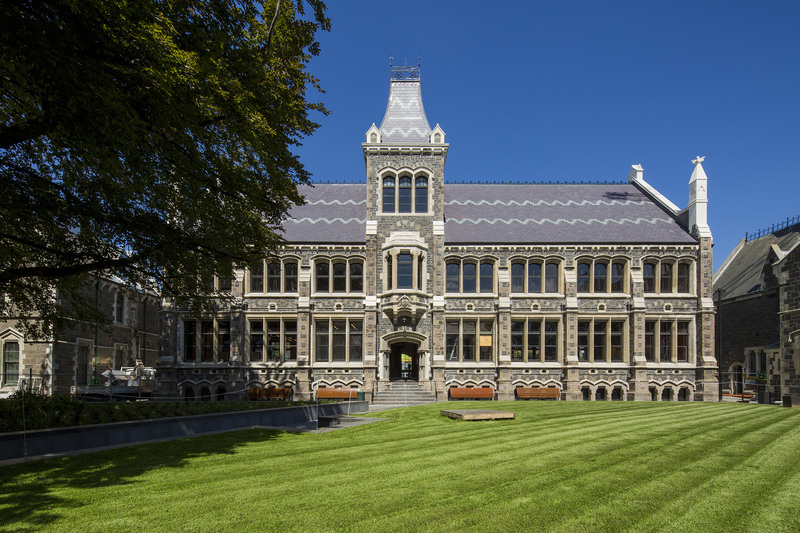 Over the last few weeks UC Classics and UC Music have been relocating into the restored Chemistry building, at the Arts Centre of Christchurch – formerly the University’s campus until the 1970s. The Chemistry building has been transformed into a purpose-built space over four floors. 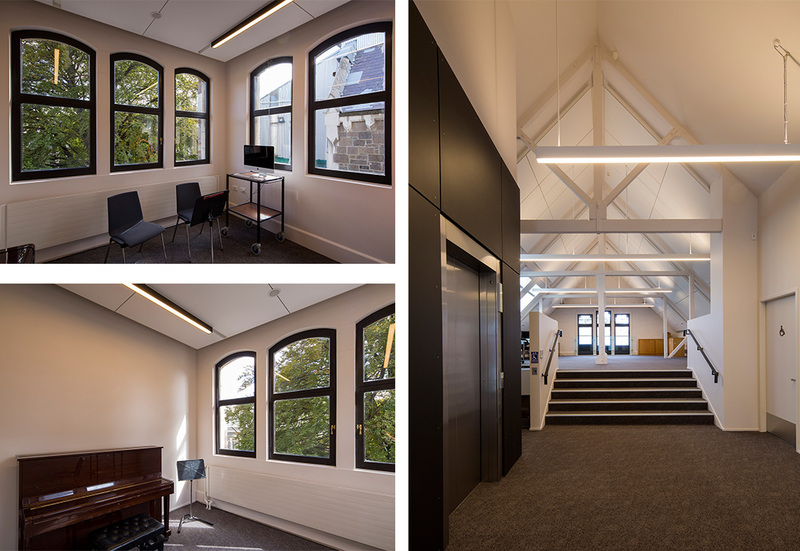 It features music practice suites, a recital space, a small lecture theatre and library, offices for Classics and Music staff, student workstations and a social area. 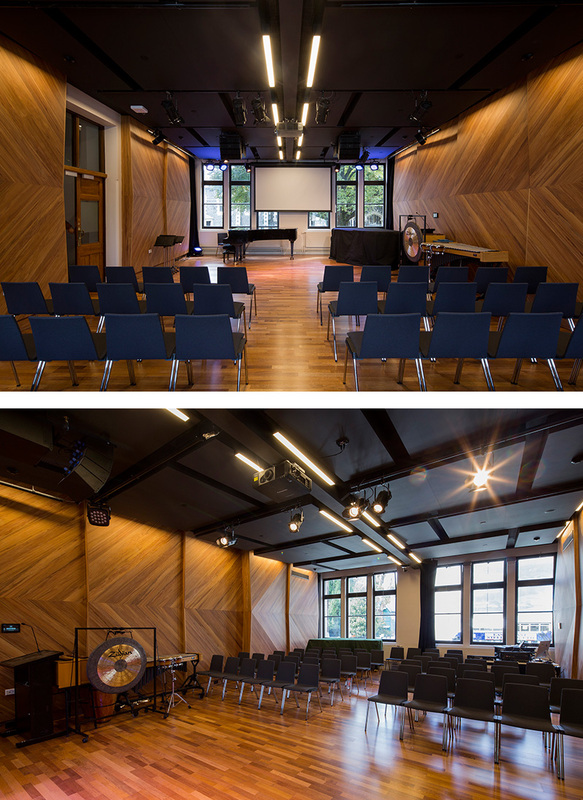 Some classes and music recitals are already running in the new space, and weekly Composition Workshops and New Music concerts are held each Monday which are free to attend. Friday lunchtime concerts will also start soon. A new exhibition space, the Teece Museum of Classical Antiquities, is due to open in mid-May. The museum will showcase UC’s highly valuable James Logie Memorial Collection, allowing greater public access to view the treasured collection of Greek, Roman, Egyptian and Near Eastern artefacts. The move provides more public performance opportunities for Music students and puts UC’s Classics and Music departments in the ideal location for greater collaboration with the local and international arts community. The building, along with the Teece Museum of Classical Antiquities, will be officially opened in late May. Information for those travelling between UC and the Arts Centre is available here. *All images supplied by Warren and Mahoney, photographer Sarah Rowlands. Public will be able to attend music performances held in the new recital space. 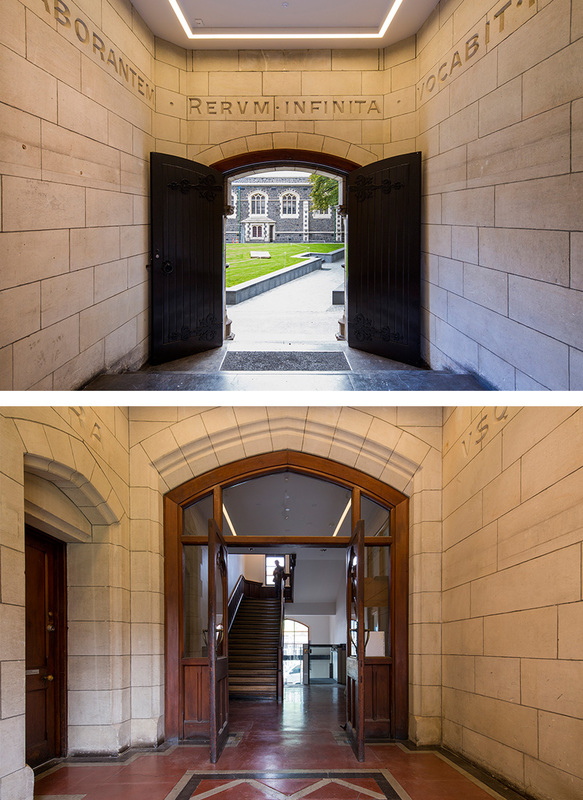 The entrance to the Chemistry building (from the South Quad) has been restored to its former glory. The new student social space in the loft (right) and new learning spaces. Stairs – a blend of the old and the new.